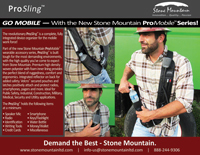 GO MOBILE… With the new Stone Mountain ProMobileTM Wearable Accessory Series! The revolutionary ProSlingTM is a complete, fully integrated device organizer for the mobile work force! Part of the new Stone Mountain ProMobileTM wearable accessories series, ProSlingTM is built tough for the most demanding environments – With the high quality you’ve come to expect from Stone Mountain. 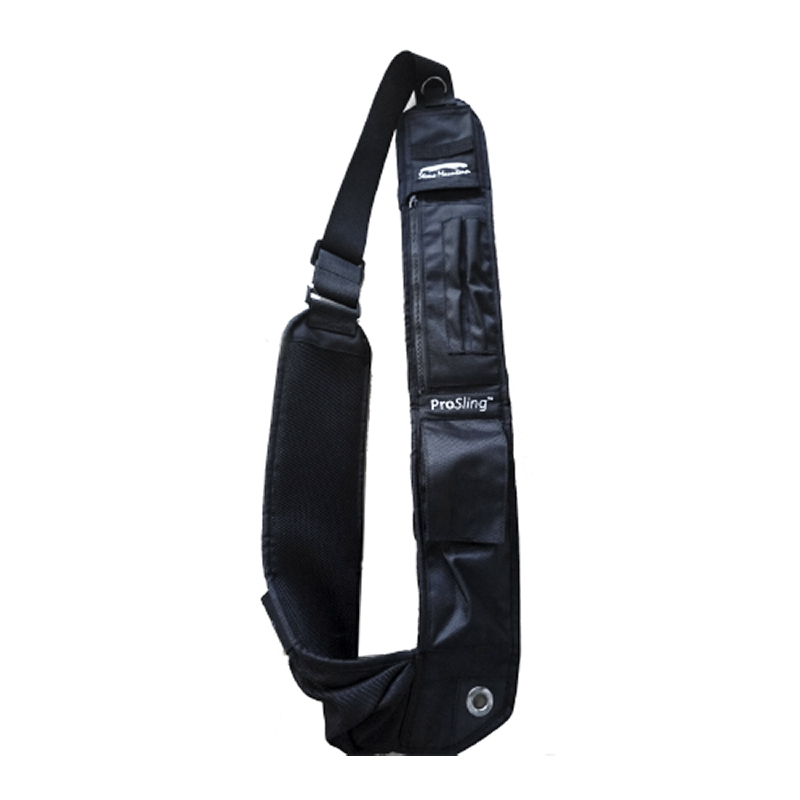 Premium high denier woven polyester with foam inner lining provides the perfect blend of ruggedness, comfort and ergonomics. Integrated reflector on back for added safety. 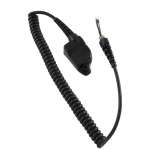 VelcroTM secured pouches and latches positively attach and protect radios, smartphones, pagers and more. 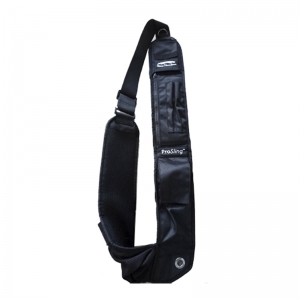 It’s the Ideal duty belt or utility belt for Public Safety, Industrial, Construction, Medical, Security and Utility applications. 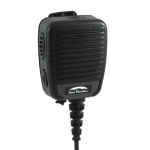 The ProSlingTM holds the following items at a minimum: Radio, Smartphone, Speaker Mic, Keys/Flashlight, Identification, Water Bottle, Writing Tools, Money/Wallet, Credit Cards or Miscellaneous items.